Copyright holders asked Google to remove more than 560,000,000 allegedly infringing links from its search engine in 2015. The staggering number is an increase of 60% compared to the year before. According to Google the continued surge is a testament that the DMCA takedown process is working, but some copyright holders disagree. The majority of these requests are sent by the music and movie industries, targeting thousands of different websites. 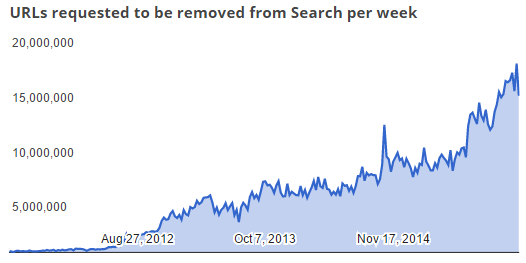 In recent years the volume of takedown notices has increased spectacularly and this trend continued in 2015. Google doesn’t report yearly figures, but at TF we processed all the weekly reports and found that the number of URLs submitted by copyright holders last year surpassed the 558 million mark – 558,860,089 at the time of writing. For the first time ever the number of reported URLs has surpassed half a billion in a 12-month period. 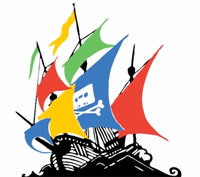 This is an increase of 60 percent compared to last year, when the search engine processed 345 million pirate links. “We process more takedown notices, and faster, than any other search engine,” the search giant commented.